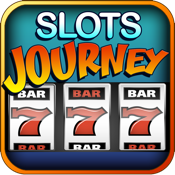 American Dream Slots - Journey To Prosperity HD is a very generous slot machine that will payout big for you! •Beautiful graphics and amazing gameplay for hours of entertainment! If you enjoy playing slots, this game is obviously provide hours of delightful entertainment! LET’S ENJOY THE JOURNEY TO PROSPERITY!! !